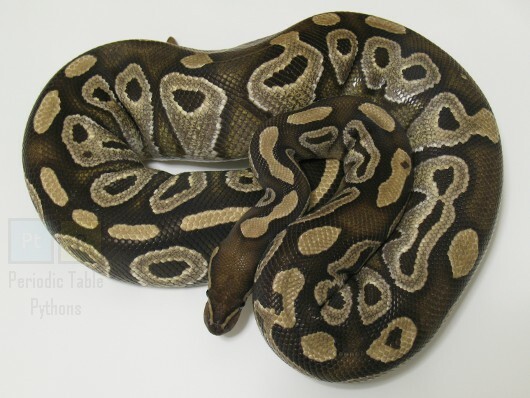 The Snake Uranium (whose original name was Infinity, for the sideways eight in her pattern) is another sweetie-pie. She is incredibly gentle, and she has never even considered snapping at me, as far as I can tell. Despite her large size, she'll still sit on my shoulders. The Element Raw Uranium is typically called "yellow cake" because of its color and crumbly texture. Uranium has one of the longest half-lives of any element: 4.6 billion years.